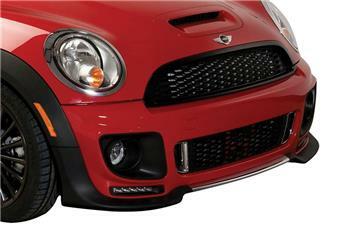 Putco Body Kits MINI - Dezod Motorsports Inc - Home of the automotive performance enthusiast since 2002. High quality custom body kits includes 26 ready-to-paint component parts to make your Mini stand apart from the rest. Replacement clips included in kit to provide a quick and efficient installation. Each kits includes a custom LED reverse back-up light accessory that is pre-installed into the rear bumper. LED DayTime Running lamps kit sold separately.